Fairholm is an early-19th century, brick villa with a former carriage house, located on a large, rectangular property in the city of Charlottetown. The formal recognition consists of the house, the carriage house, and the legal property on which they sat at the time of recognition. 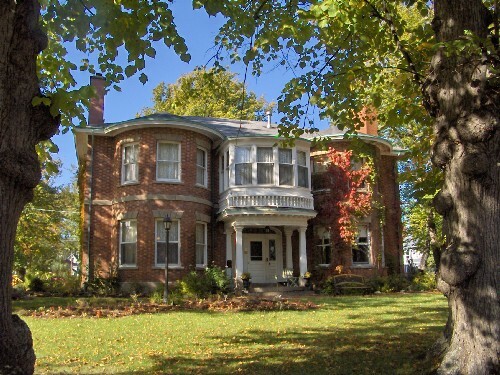 Fairholm was designated a national historic site in 1992 because it is a fine and rare surviving example of a Picturesque villa in Atlantic Canada. Fairholm exemplifies the Picturesque villa as it was interpreted in Atlantic Canada, where the Picturesque aesthetic retained the stately classicism popular in the Maritime provinces. Built for politician and administrator T.H. Haviland Sr. (1795-1867), it is a rare example of early brick construction both on Prince Edward Island and within the Picturesque villa inventory. The spacious grounds reinforce the Picturesque qualities of the villa. A late-19th-century carriage house helps complete the villa landscape.